Jacket Solid: Good buoyancy, ideal for scuba diving schools and equipment rental centres. 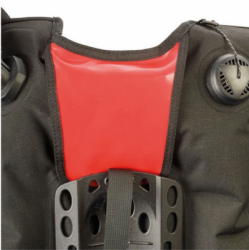 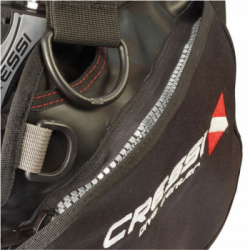 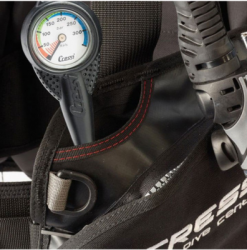 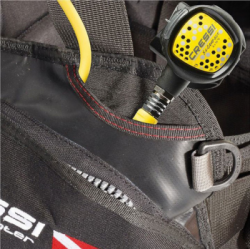 It features a coloured reinforcement band in the upper part of the back, at neck level, to enhance visibility in the water and protect the jacket from the abrasive action of the first stage. 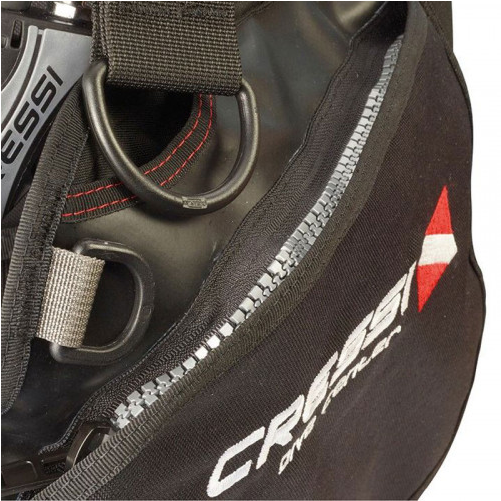 The sternal attachment is closed by a buckle which also serves as a safety whistle. 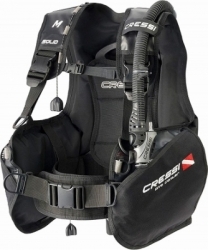 Light-weight, rigid backplate with carry handle.